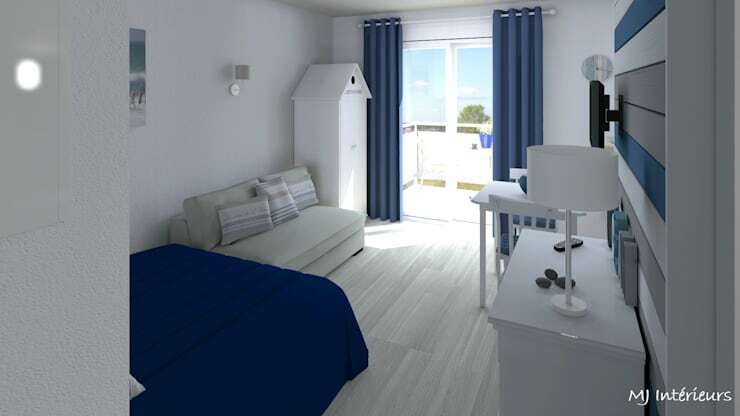 With an area of only 247 square feet, this seaside studio apartment in Rochefort, France, is rented out to seasonal guests. 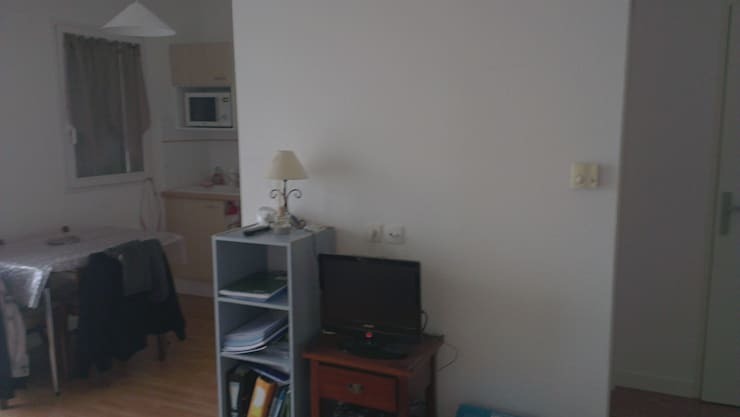 Previously it was a shabby, gloomy and uninspiring space which could hardly be considered relaxing or rejuvenating. But thanks to the interior designers and decorators at MJ Interieurs, this place now reminds vacationers of the sea and sand beautifully. The renovation cost was less than $13,000 (Canadian) and involved the replacement of floors, and introduction of trendy fixtures, cozy textiles and smarter designs. 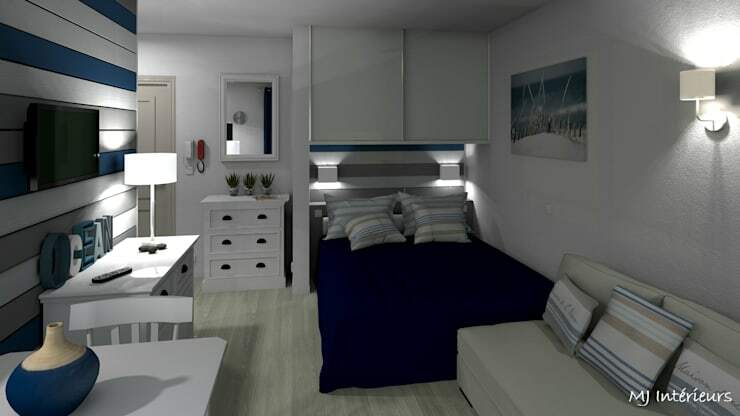 Additional storage solutions were also added, and the new colour palette is a soothing mix of grey, blue and white. 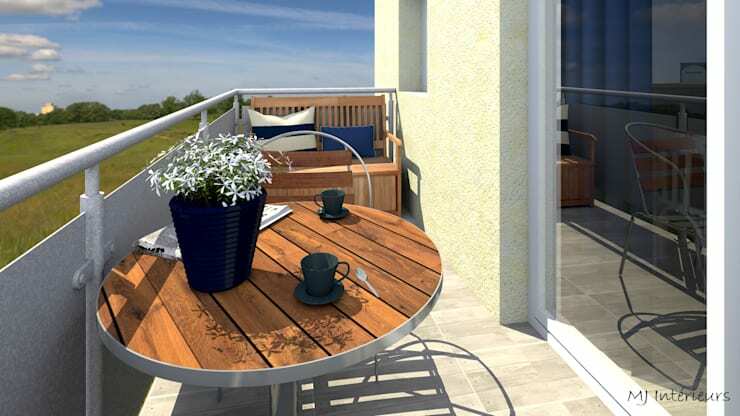 A sunny balcony adds to the charm of the property and keeps it well-ventilated and bright. 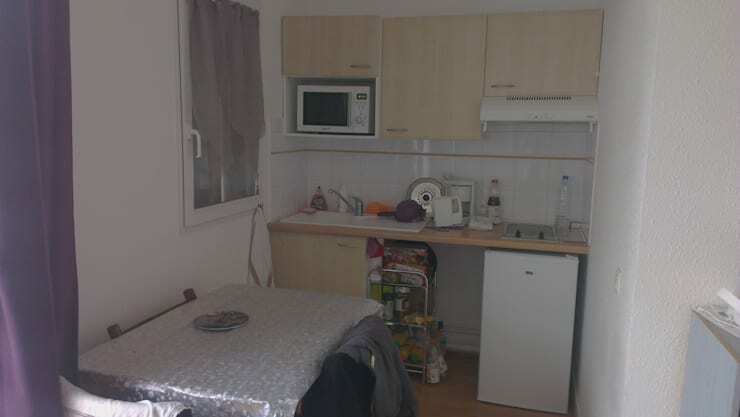 The entrance was a drab and messy affair before, with stuff spilling out from the closet in the sleeping area. A sleek white cabinet, some potted greens and a stylish mirror has changed the entryway dramatically. It looks fresh and inviting. 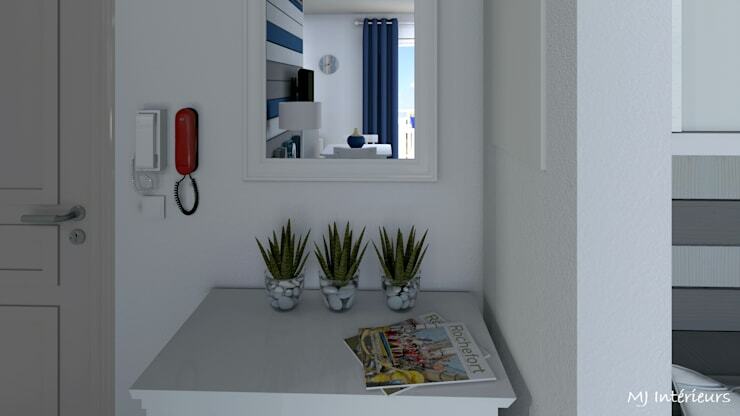 Dull walls, cluttered shelves, and lack of warm or cosy accents made the interiors seem cold and harsh. 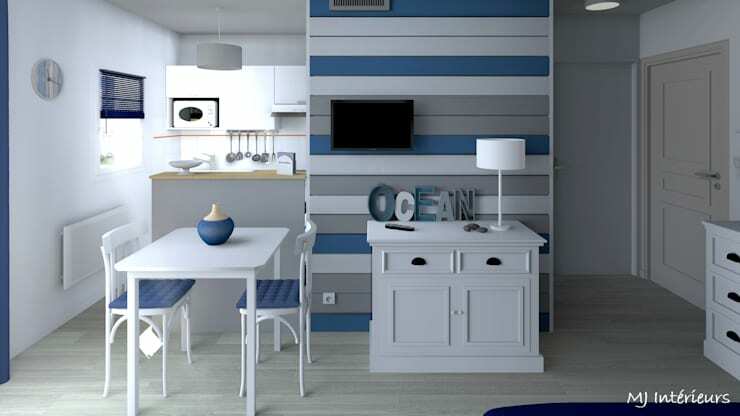 The wall holding the TV now features refreshing stripes in blue, grey and white, while quaint white furniture lends charm to the interiors. The dining arrangement is compact and cute with beautiful blue seats. 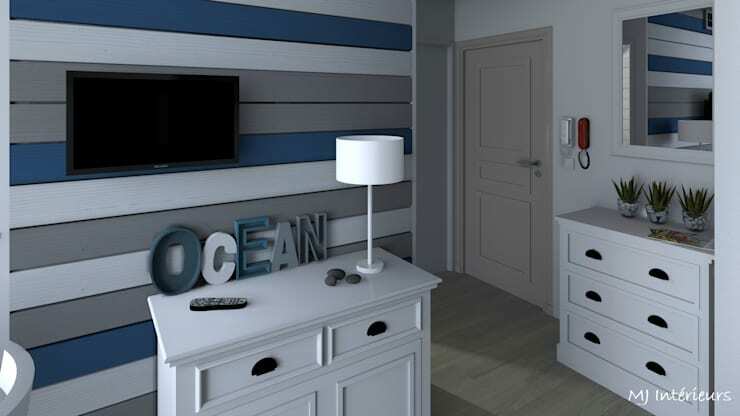 The cabinet under the TV offers extra storage space, while the “OCEAN” lettering ensures a true seaside ambiance. Old-fashioned cabinets, clutter, and lack of sufficient light made the kitchen gloomy and depressing. Smooth and glossy cabinets in light grey, neat niches for appliances, and wooden countertops make the kitchen smart and cosy. A large window brings in tons of sunlight, with black blinds adding a bold touch here. 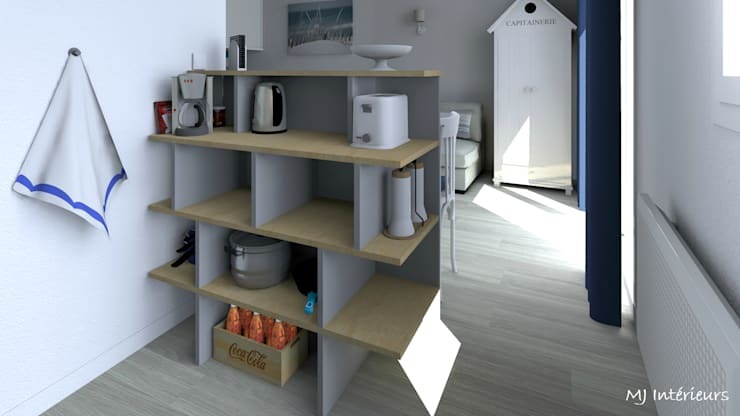 This smart and unique storage unit acts as a mini-bar as well. 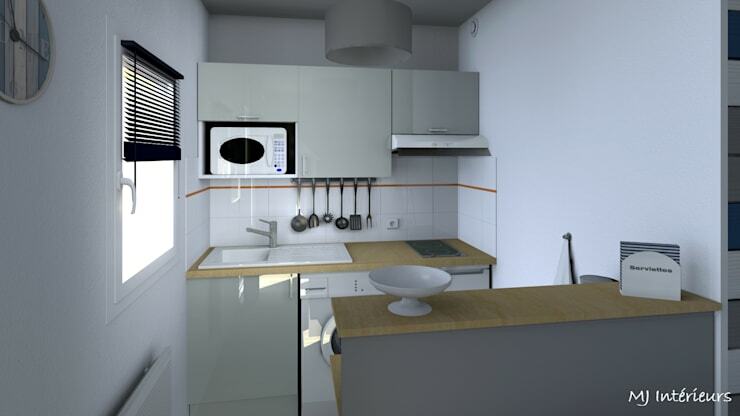 The grey and wooden combination is sophisticated, and the unit separates the kitchen from the rest of the apartment too. 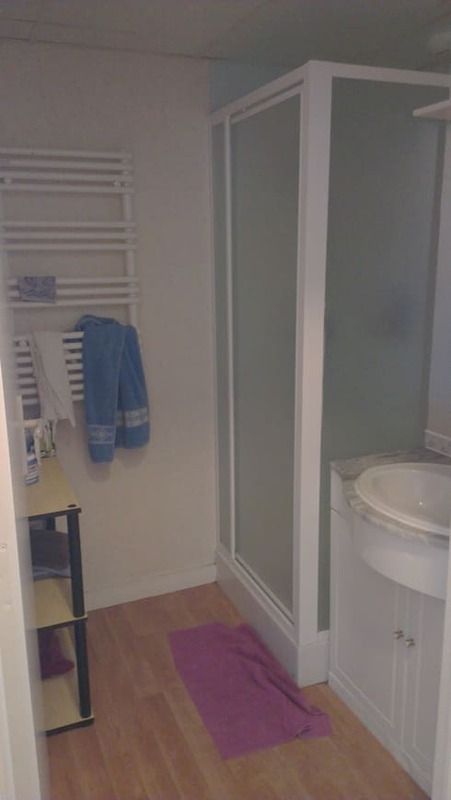 Dated furniture and a boring shower stall couldn’t do anything to make the bathroom appealing. 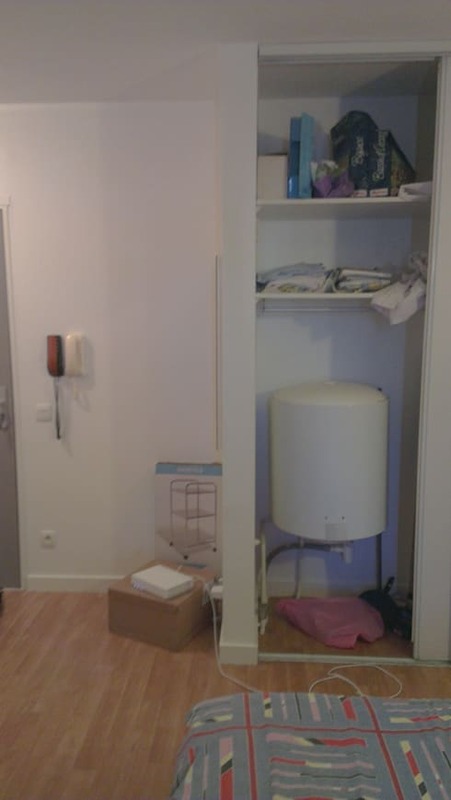 The walls looked dull as well. 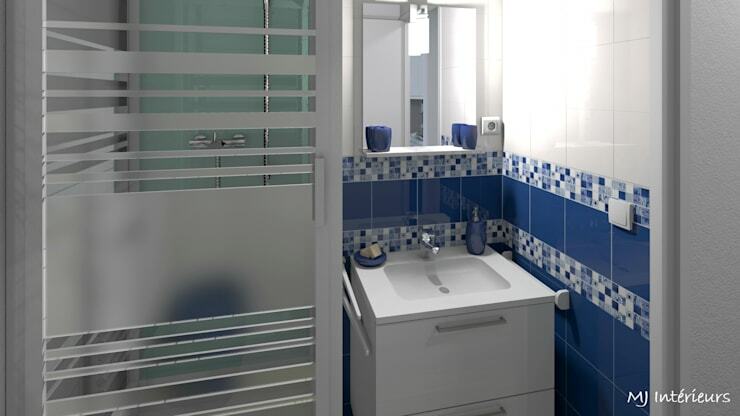 Now, the bathroom combines white and blue tiles along with mosaic for a cool and refreshing vibe. The shower enclosure is trendy and the fixtures are smarter too. The drawers under the sink offer lots of storage space. 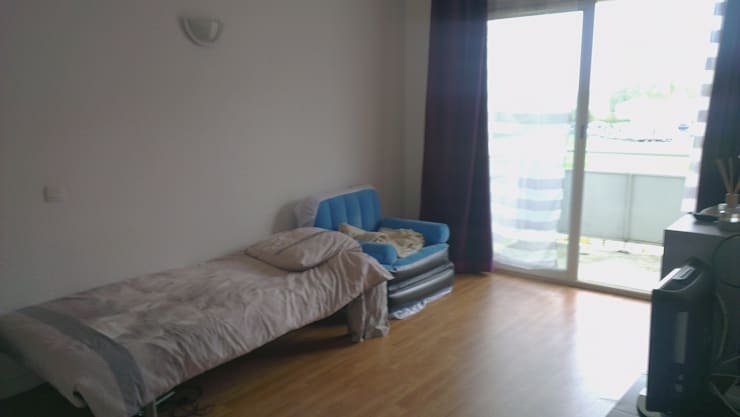 The living space looked bare and boring, while the bed in the sleeping area hardly promised any comfort. A cozy beige sofa, a charming house-shaped closet and a big bed now make the living and sleeping areas comfy and stylish. Large glass doors lead you to the balcony and bring in natural light for a bright ambiance. The sleek and sunny balcony features slim and chic wooden furniture, so that you can spend leisurely hours here and admire nature. Bright cushions and potted plants add colour and cosiness to the space. 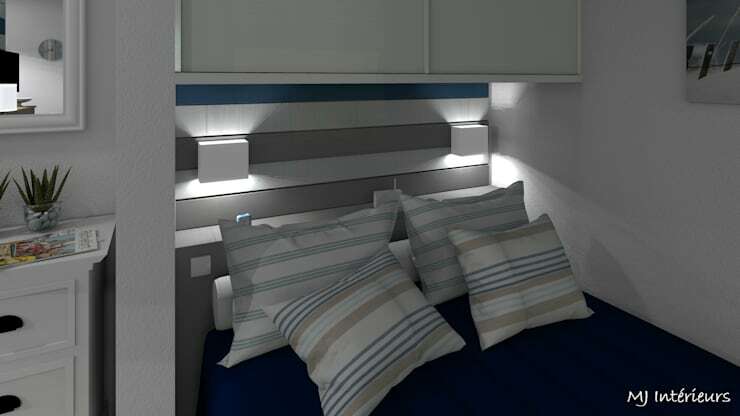 Note how the cabinet behind the bed has been halved to accommodate a stylish, striped headboard. 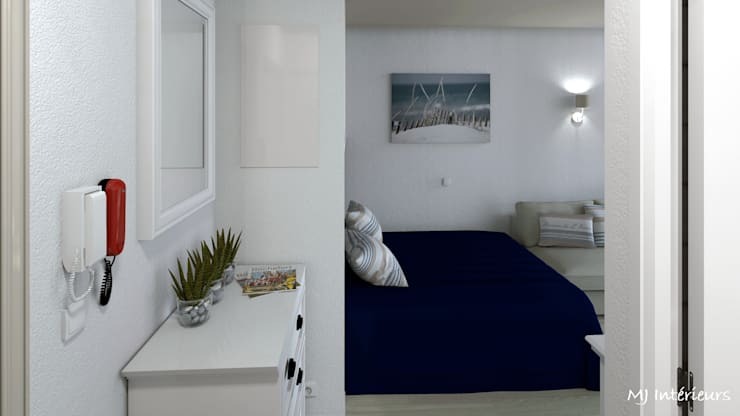 A blue duvet and striped cushions add soothing touches to the bed. Softly glowing lamps and sconce lights are switched on in the evenings for a dreamy atmosphere. Here is another makeover story you will love - 4 fantastic bathroom renos.